Elliott Lauren answers the needs of the modern customer seeking trend-driven clothing that offers comfortable quality with an exceptional fit. Each collection of shirts and pants keeps the desire for style in mind while remaining true to their founding principle as it was when they began. Elliott Lauren is positioned perfectly on the crossover point between fashion and practicality, and offers garments that boast a mindset of confidence and beauty. Very cute light pink color. Appear to be well made. Unfortunately, jeans were very narrow at and below the knee. Returned. Elliott Lauren pants are always my go-to. They are flattering, comfortable, fashionable. They just always look good on me. This print is fun and not too loud. Just different enough that people notice and I get loads of compliments. They are almost the only brand I wear. Jeans were a little wide around hips and legs. Have same style in other colors and same size and they fit perfectly.Had to return. This pant is exactly what I wanted and true to size, although the inseam seemed a little longer than 29" probably closer to 30". Really liked but the color was a bit brighter than expected. Which was fine, if it wasn't so shear you could see outline of under clothes. The description read 100% cotton so I was expecting unlined cotton canvas and got a ripstop rain jacket. 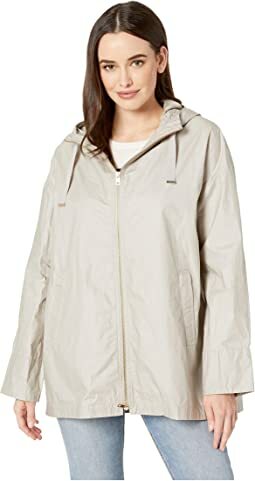 It’s a very cute packable rain jacket but I can’t use one without warmth this time of year. This would be a nice summer weight or over a sweater in the spring. Cute pants but they run small and I had to return. Literally the perfect pants! Fit is true to size, fabric is polished but not heavy and they are SO comfortable. Perfect ankle length for me (I am 5’9”). Can easily be dressed up or down. So versatile. Love them! I just bought them in 6 colors. They are my new “go to” pants. These are very nice pants with a flattering fit. There are seams down the back of the legs which create a nice shape. I bought the black in size 10 and they fit great. True to size. I hope the color holds during laundering. I will cold water wash and avoid the dryer. Price is high, but worth it for the quality and fit if they launder well (we'll see!!). Length is exactly right for me. I am 5' 6" currently 155lb. Elliott Lauren seems to run tts across its brand, and these are no exception. I'm 5'3", so they're not really ankle length on me with a 29" inseam, more like top of instep--which is what I wanted. I like the split hem detail, and the navy is a true dark navy. Really nice cut, slim leg. Very comfortable waist construction. This particular fabric might not be heavy enough for winter, and is stiffer than you'd expect rayon/nylon blend to be--a good three season pant, for sure. I will probably purchase more colors. I have ordered 2 of these pants in Putty and Black and will order more in other colors. I am 5'3", size 6. They have the modern look of straight slim legs. Some stretch, perfect size and length. So comfortable and wash perfectly. Yes, they are not inexpensive but well worth the price. Be sure to get the Elliott Lauren brand and not any other stretch pull-on but this one. It is beautiful and can be dressed up as well as worn with tennis shoes. These pants are the best.......fit perfectly, right length, inseam, stretch, color, etc. I have them in black and navy blue and white print for spring. I am going to order another pair in beige. Rather expensive but worth every penny spent on them and I always get compliments and questions as to where I bought them! Also, true to size. These pants are great! Perfect for everyday wear and special occasions. They are comfortable and stylish. I have them in more than one color. This is my second pair of these Elliott Lauren ankle pants. They fit so well, never sag or get baggy and look good with everything. Love them... am 5' 7.5" and wish they were a tiny bit longer — but the size 12 looks great and fits well, so would order again! Very comfortable and flattering, especially in the legs. My husband complimented how I looked in them! I had to order one size down. Returned my regular size because they were too big, and Zappos was great about that-free return shipping and no questions asked! Thank you, Zappos! The length is just right for me, hits mid ankles, and I’m 5’2”.